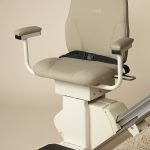 The Pinnacle is a luxury stairlift at an affordable price. 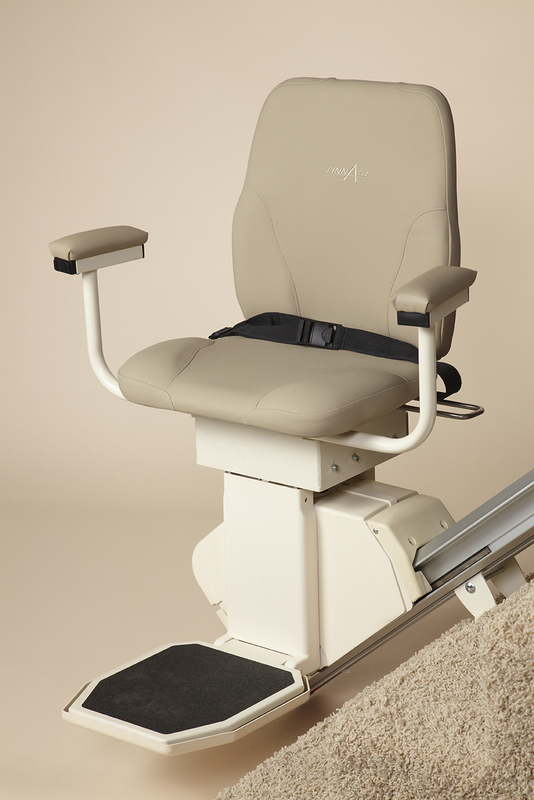 With a large padded seat that can be upgraded to a new color, it offers a comfortable and safe ride. 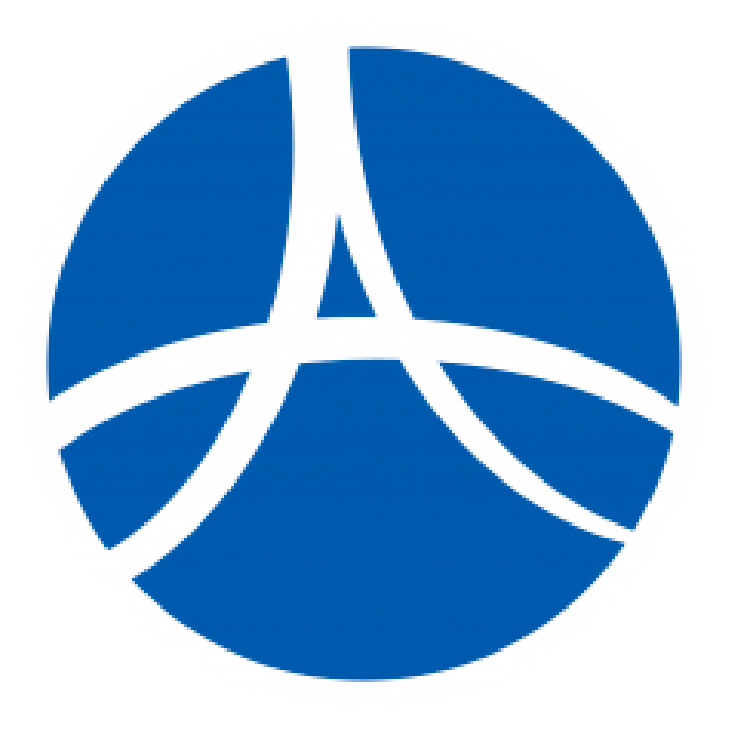 The Pinnacle can also be swapped from side to side on the staircase. 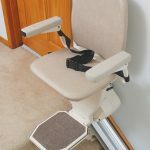 The seat, arms and footrest fold up, making this lift 11 inches wide when folded. 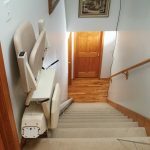 Two wireless remotes allow you to “call” or “send” the stairlift, making it easy for multiple users. 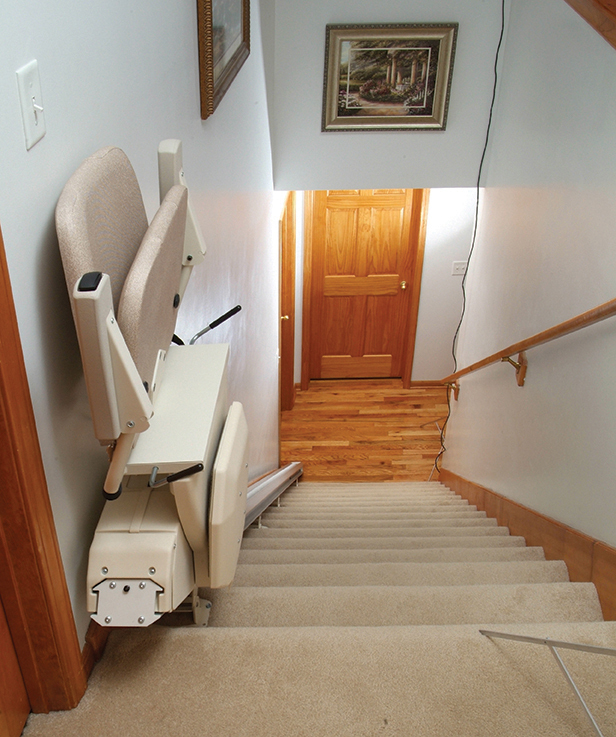 Sensors will stop the lift if it meets an obstruction on the stairway. 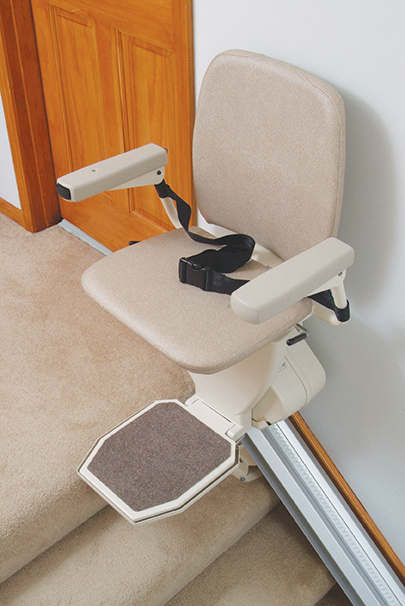 Seat swivels at upper landing for easy and safe entry and exit. Directional toggle switch on right arm. Alarm beeps on safety features and when not parked on charging station. 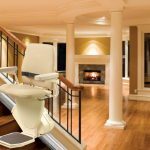 350 pounds with 600-pound optional upgrade. Weight capacity(160 kg) 350 lbs. Travel distance 16 ft. is standard; lengths available up to 70 ft.